A childhood dream come true! Leonardo DiCaprio couldn&apos;t stop smiling as he went backstage after winning an Academy Award for Best Actor on Sunday, February 28 at the Oscars 2016 — admitting the entire experience felt "surreal." And as he addressed members of the press, including Us Weekly, backstage at Los Angeles&apos; Dolby Theatre, the actor admitted that getting his part in The Revenant and his (eventual!) 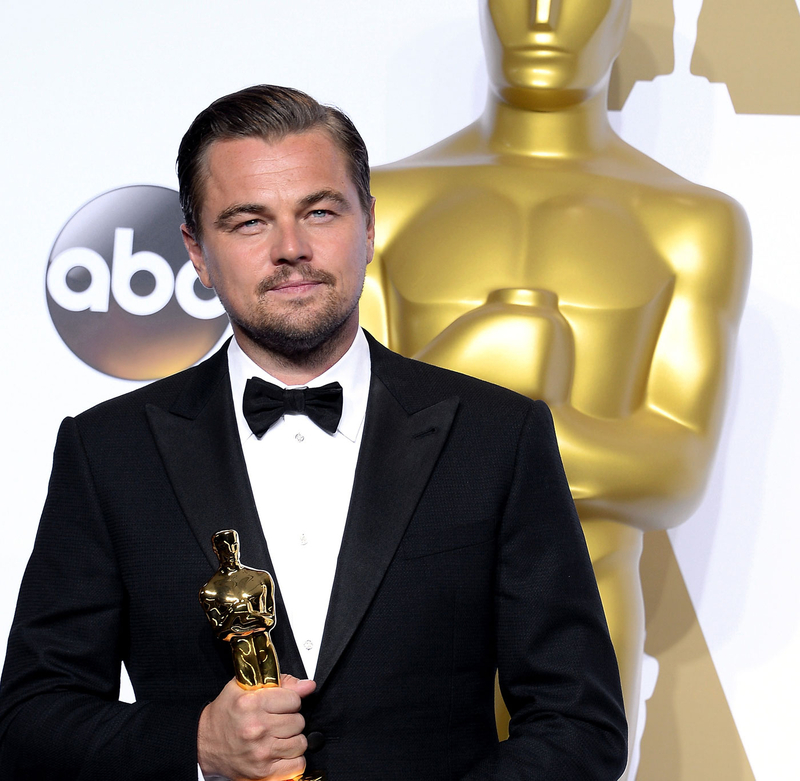 Oscar win at the 88th Academy Awards was something he&apos;d been dreaming of since he was a kid. "I grew up in East Los Angeles," he told reporters. "I was very close to the Hollywood studio system, but I felt detached from it my whole life. And to have had parents that have allowed me to be a part of this industry, to take me on auditions every day after school, and to tell stories like this has been my dream ever since I was 4 years old," he said. "This film, to me, was exemplary in the sense that I got to work with a director — all the things we spoke about off camera during the making of this movie transferred their way on screen. This was true storytelling." DiCaprio, who wore custom tuxedo studs and cuff links by Established to the awards show, admitted he&apos;d been totally overwhelmed by the huge support he&apos;d received from fans via the internet, in the run-up to this year&apos;s Oscars. "It all feels incredibly surreal, because you can&apos;t reach out and physically meet everybody," he said. "You hear it on the internet, you hear it from other people, and we always strive for the best in what we do. But this year, in particular, I&apos;ve been overwhelmed with such support," he said. 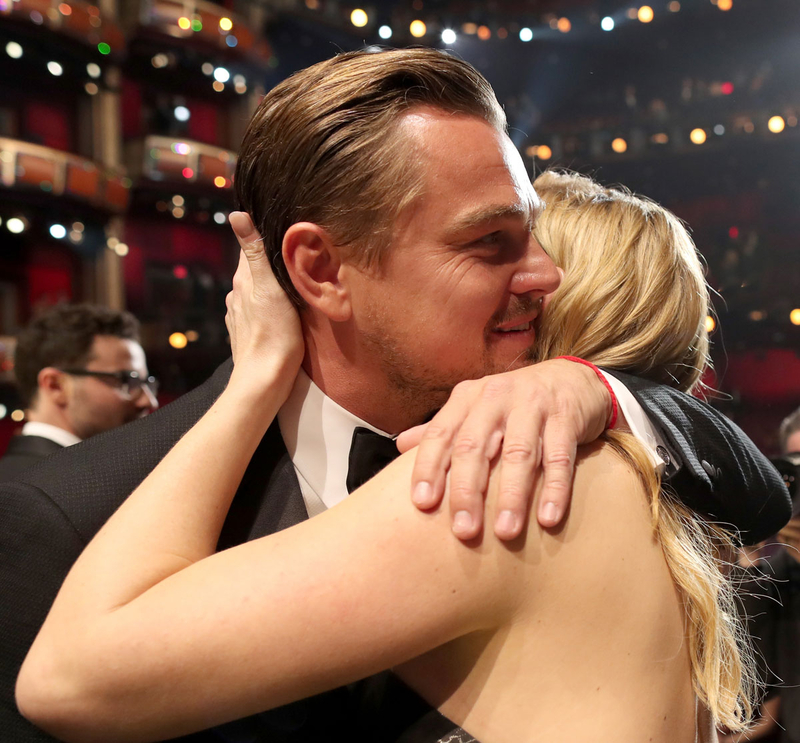 One former costar who has been particularly supportive is Titanic actress Kate Winslet, and DiCaprio was determined to make sure everybody who had championed his cause in the run-up to this year&apos;s Oscars ceremony knew how much it meant to him. "Really, truly, [I&apos;ve had support from] so many fans and so many people in the industry. It&apos;s quite shocking, actually," he said, looking stunned. "And what can you say except I&apos;m very grateful, I really am." The six-time Oscar nominee also made sure that he used his backstage platform to bring some international focus to the topic of climate change, as he did during his onstage acceptance speech. "This whole thing has been an amazing experience," he went on. "And for me to be able to sit there and not only talk about the film, but to talk about something that I&apos;ve been duly as obsessed with, besides cinema, and that&apos;s our environment and climate change — to be able to speak about that in a platform of hundreds of millions of people that are watching this. Like I said, this is the most existential crisis our civilization has ever known and I wanted to speak out about that tonight because it&apos;s imperative that we act," he went on. "I feel so overwhelmed with gratitude for what happened tonight," he added. "But I feel there is a ticking clock out there. There&apos;s a sense of urgency that we all must do something proactive about this issue. And certainly with this upcoming election, we need to all join together and vote for leaders who care about the future of this civilization and the world as we know it."